Emerged as one of the most popular brands in premium smartphones category, OnePlus took the wraps off its mid-year refresh model. Coming just six months after the launch of OnePlus 6, the 6T features some incremental updates such as in-display fingerprint sensor, a bigger display, a smaller notch, smart boost and more. The base configuration for 6T starts with 6GB RAM with 128GB internal storage, and the phone continues to be powered by Qualcomm Snapdragon 845 processor. Having a 86 per cent screen-to-body ratio, the 6T features 6.41-inch Optic AMOLED display with 19:5:9 aspect ratio. With the 2340x1080p resolution, the screen is protected with Corning Gorilla Glass 6. The minimal notch also referred to as water-drop notch- houses three-in-one ambient/distance/RGB sensor and front-facing camera. OnePlus claims that the screen is optimized for notch-based design, providing a larger viewable area and superior. The screen can be calibrated for individual preferences from options including sRGB, DCI-P3, Adaptive mode and custom colour. Made of all glass, the OnePlus 6T weighs 185 grams and is 157.5mm tall and 8.2mm thick. With this new entrant, OnePlus has ditched the 3.5mm jack and has incorporated a USB Type C to 3.5mm adaptor in the box. Even the fingerprint scanner at the rear has been replaced with an in-display fingerprint scanner. OnePlus has opted for the latest in this technology, coming from Synaptics, and has been combined with Face Unlock. According to the company, screen unlock can also be used to quick launch apps - continue to press the screen after the display is unlocked, a customizable app shortcut bar appears and moving the finger over the app and swiping it up will launch the app. Improvements on the camera front include a new algorithm that automatically adjusts the front and rear camera to capture high-quality photos of faces, text, food, and night scenes. The 6T houses a 16-megapixel Sony IMX 519 primary sensor and a 20-megapixel Sony IMX 376k sensor with f/1.7 and dual LED flash. The rear camera is capable of capturing videos in 4K resolution at 30/60 frames per second. The camera will be equipped to recognise night scenes to deliver brighter and vivid images and super-slow motion videos at 1090p resolution at 240 fps. The 16-megapixel camera with Sony IMX 371 sensor at the front can capture videos at 1080p resolution. Running Oxygen OS based on Android 9.0 Pie, 6T supports gesture navigation and display gestures. The latter include lift to wake, double tap to lock, three finger shortcut and more. Long pressing power button to activate Google Assistant will be introduced at a later stage. In the dedicated gaming mode, alerts from third-party instant messaging and calling apps will appear as small floating notifications, which can be further customized as white text on the top of the display. According to the company, the Smart Boost feature improves app cold start speed by 5 to 20 per cent by storing data from frequently used apps in the phone's RAM. To start with, Smart Boost technology will be applied to gaming apps. The new flagship smartphone houses a 3700mAh battery and supports the Fast charge. The device will come with a pre-applied screen protector, a translucent phone case, fast charge type-C cable and power adapter. 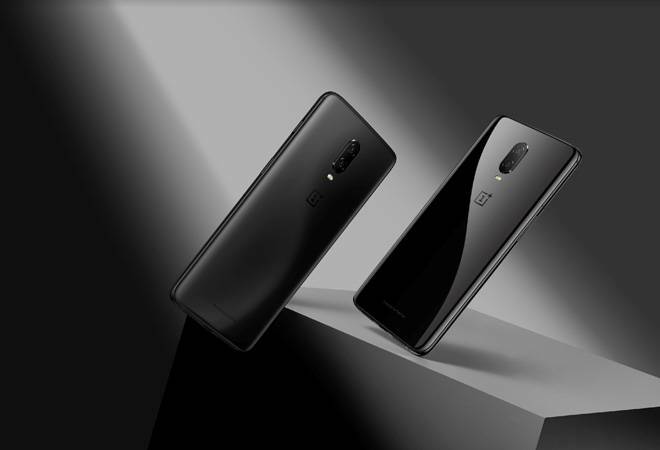 OnePlus 6T is priced $549 for the 6GB RAM and 128GB variant, $579 for the 8GB RAM and 128GB storage option and $629 for the higher-end 8GB RAM and 256GB storage variant. The 6T is available for pre-booking on Amazon India and will go on sale starting November 1. Although the company has not yet revealed India pricing yet, the new smartphone is speculated to be priced starting Rs 40,000 onwards.